Designing a new concept of architecture. As an architect team,we seek a new balance between art and new technology,form and functionality,beauty and purpose. We learn to solved architectural problem by nature and sustainability. Our main objective is to build and create an idea for our clients’ architecture design needs. Their satisfaction is our priority. “To improve our well being we need to be inspired by the spaces we live in, the built environment, the natural, and their harmonious existence”. Inspiral studios are a collective of architects, designers and engineers specialised in creating dynamic and holistic solutions for building developments. We place great importance into creating timeless iconic architecture, putting major emphasis into the inventive use of building materials, qualities of light, the flow of space, all within an ecologically vibrant framework. By using a combination of imagination and pragmatism, by thinking on an array of levels, and inventively considering the overall concept down to the finer details, our environments have the ability to both inspire and enrich the lives the occupants. We help design and build house ,interior , exterior , architecture , and all about design , the most important for us is make client comfort and satisfied with our consultation and design . Bangun Ruang Internasional is a design office in Jakarta that is responsible for new construction and renovation of commercial facilities, private houses, and apartment buildings, etc. "To Provide Value Beyond Expectations Through the power of design" as a corporate philosophy, we are doing a design that is close to the customer's requirements. An Architect Designer who started his carrier life as a Auto Cad drafter in a third biggest firm in Palestine named Alresala Consultant Engineering, which is located at Gaza City for three years, and i was sicking for more knowledge so i toke the opportunity and i started my new carrier to be a Professors Assistant for two years, but humanity feeling inside me make me realise that my knowledge is a gift and i most help people with it so i join a Charity Foundation named Human Development Foundation to become a project manger for the Constructor Department at the Foundation which is located in Philippine in Palawan Island , this is me. 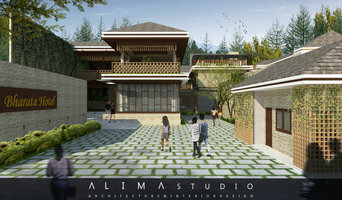 How do I find the best Jakarta architect for my home design project? 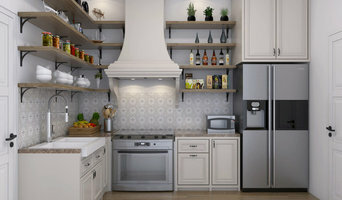 It is best to hire a home architect who will be involved in all phases of the design process, from the initial concept to the completed construction. The architect is often the first person you will hire for your project. 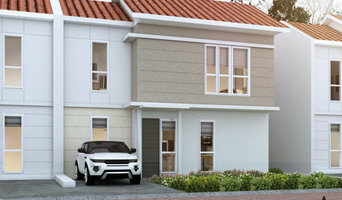 If necessary, they might also help you select and hire Daerah Khusus Ibukota Jakarta subcontractors, which can include the builders, engineers and landscaper. Interior architects are also involved in negotiating contracts for all involved participants. It is for these reasons that it is extremely important for you to have a good relationship with the Jakarta residential architect you hire. He or she can be the tie-breaking vote between you and the general contractor and can be your biggest advocate during the construction process. Different architecture firms in Jakarta, Daerah Khusus Ibukota Jakarta, Indonesia provide different services, so the scope of the work can span from pre-design environmental impact studies to selecting furniture and finishes, depending on what your specific needs are. It is very important to hire the right professional for the job. Remember that the most well-known or established designer might not provide the best architectural services for your needs. It all comes down to the individual project. Research and ask people whose work you like for recommendations. It's important to have somewhat of an idea of the style of house architecture that you prefer, as well as the amount you would like to spend. Residential architects in Jakarta, Daerah Khusus Ibukota Jakarta, Indonesia are natural problem solvers. They will assess the entire situation and help you to solve your problems too. Don't settle for a single company too early. Call and interview a few. Make sure that you feel like your personalities will mesh well and that you like their professional perspective. Find a home architect in Jakarta, Daerah Khusus Ibukota Jakarta, Indonesia on Houzz. 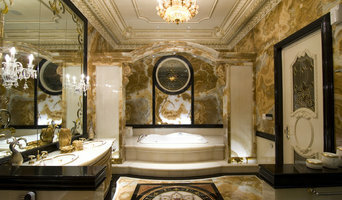 Narrow your search in the Professionals section of the website to Jakarta architects. You may also look through photos of Daerah Khusus Ibukota Jakarta projects to find interior architects and building designers who have worked on a project similar to yours.